The study of language and languages is called linguistics, and linguistics relates closely to biological psychology. Linguists talk about the grammar of a language. By this they do not mean a set of rules about how people should speak. They mean the set of subconscious rules we actually use in formulating phrases and longer speech utterances (clauses). In this sense, there is no such thing as bad grammar as far as linguistics is concerned. There are just many different languages and dialects whose grammars differ from each other to a greater or lesser extent. When linguists discuss grammars, they consider them to be psychologically real. That is, when they say, for example, that there is a rule for forming the plural in English which is ‘Add an s’, this is actually a hypothesis that somewhere in the brain of English speakers there is a neural network which carries out this procedure. So a grammar is really a set of hypotheses about the brain. Grammars have several parts and these will be described next. Phonology is the set of rules about how sounds can and cannot be put together in a language. For example, brick is a perfectly good English word, whereas btick is not possible. This is because the rules about which sounds can go together in English do not allow two so-called plosive consonants like b and t to go together at the beginning of a syllable. These phonological rules can differ somewhat from language to language. The word pterodactyl is pronounced as written in Greek, where sequences of consonants such as this are allowed. In English, though, such sequences are not allowed, so when we adopted the Greek word, it was pronounced terodactyl. 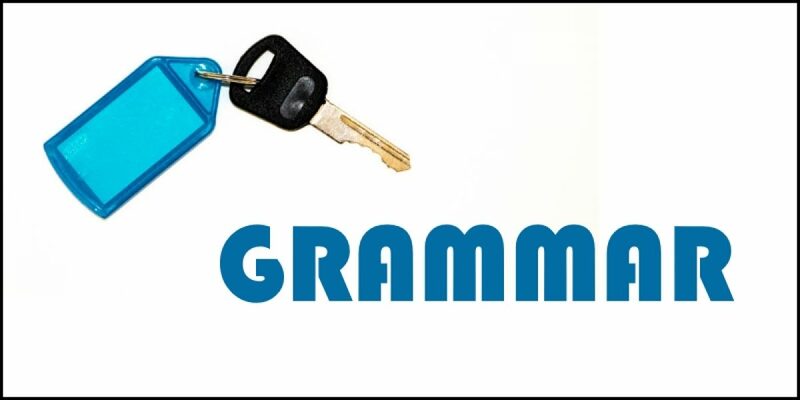 Sequences that are allowed by the grammar are called grammatical; those that are not allowed are called ungrammatical. The convention in linguistics is to mark ungrammatical sequences with an asterisk, as in *btick. Morphology is the part of the grammar that deals with the structure of words. Rules like ‘Add s to make the plural’ are morphological rules. Syntax deals with the rules that govern the way individual words are put together into sentences. For example, in English, sentences (1a) and (1b) below are grammatical and (1c) is not, because of the syntactic rules of the language. (1a) The cat sat on the mat. (1b) On the mat sat the cat. (1c) *The cat sat the mat on. You can often guess the meaning of sentences that violate syntactic rules from the context and the words used, but you have a strong intuition that they are not quite right nonetheless. Semantics is the part of linguistics that deals with meaning. Meaning and grammaticality are two rather separate things. For example, in (2) below, one of the sentences is syntactically fine but meaningless, at least if taken literally, whilst the other is ungrammatical but has a clear meaning. (2a) Colorless green ideas sleep furiously. (2b) The man wanted going to the cinema. Sentence (2a) is meaningless (how can something be colorless and green? how can an idea sleep, especially in a furious manner? ), but nonetheless it is put together just like a grammatical English sentence. Sentence (2b) seems to mean something like ‘The man wanted to go to the cinema’ or ‘The man wanted taking to the cinema’, but we know that it is not a grammatically correct sentence. Grammatical rules often involve classes of words. The key word classes are nouns and verbs. Nouns typically denote objects. Book, chair, man, cloud and water are all nouns. Verbs typically denote actions or processes (see What do we talk about?). Go, come, ask, eat, harass are all verbs. Verbs have a subject, the person or thing doing the action, and they may have an object, the person or thing to which the action is done. A verb with no object is called intransitive. To sleep is an intransitive verb, since you can say I slept but not *I slept the man. To kick is a transitive verb, since you do not just kick in general, you kick someone or something. There are, however, exceptions to the generalization that nouns denote objects and verbs denote actions or processes. Consider nouns like arrival, explosion and assault. These seem to denote actions or processes rather than objects. Nouns such as these are derived from verbs, in this case to arrive, to explode, to assault. They are called verbal nouns. The verb to be does not really describe a process; in fact, it does not really have any meaning of its own, but instead is used to join words together in a neutral way, as in I am tall. As well as nouns and verbs there are other, less important categories of words, such as adjectives, adverbs, prepositions and conjunctions. Adjectives modify nouns to give us more information about their properties. Color words are adjectives, as in ‘the green man’ or ‘the black cat’. Adverbs modify verbs, giving us more information about how the action was done, as in ‘he arrived stealthily’ or ‘she shouted loudly’. Prepositions and conjunctions are the little linking words that connect everything together, like to, with, on, for, under, but, however and and. This article is adapted from ‘From sound to meaning: hearing, speech and language’. An OpenLearn (http://www.open.edu/openlearn/) chunk reworked by permission of The Open University copyright © 2016 – made available under the terms of the Creative Commons Licence v4.0 http://creativecommons.org/licenses/by-nc-sa/4.0/deed.en_GB. As such, it is also made available under the same licence agreement.